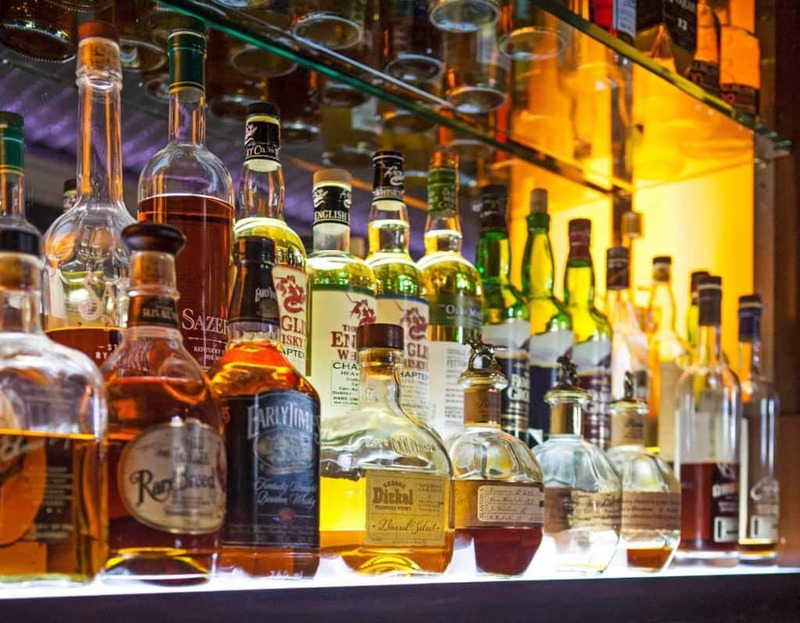 In my experience there are two types of whisky people – those who do and those who do not. You either like it, or you hate it, there doesn’t seem to be much room for indifference or sitting on the fence. If you are of the former ilk, a whisky tasting at Bascule Bar at the Cape Grace Hotel is a must, hell, even if you count yourself amongst the latter group, step into the unknown and chances are you will leave with a new-found respect, if not love, of the golden nectar. As you descend the steps down into Bascule Bar, you just know you are in for something special, the wood and face-brick combine to create an almost speak-easy atmosphere, while the bottles that line the walls re-assure you that there is no prohibition at play here. 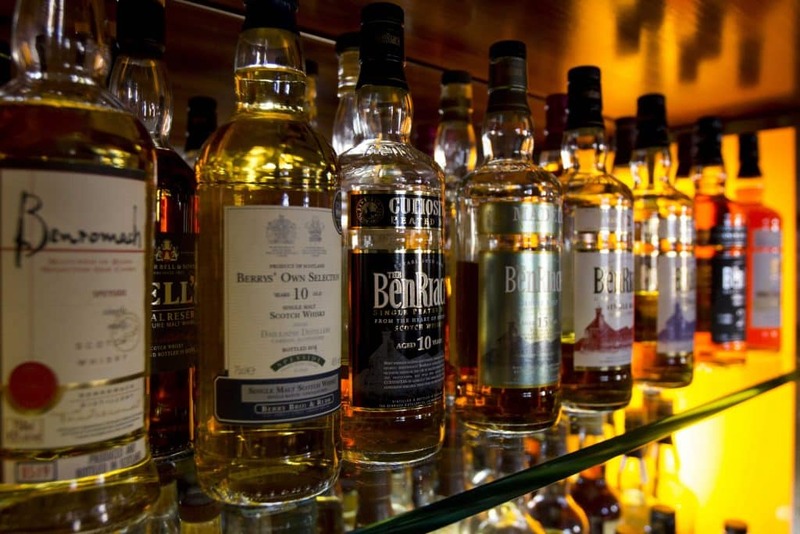 With more than 500 whiskies to choose from, you could get lost down there for a fair period of time and likely come out with a much emptier wallet. The Glenfiddich 50-year-old goes at R18 000 a tot… unsurprisingly after more than 15 years in business Bascule is still only on bottle number two. As we take our seats in the corner – two of us relishing the tasting, two of us not so much – it is clear that Craig, the man tasked with taking us through the tasting, is more than a lover of the good stuff. For him, it is a passion, a calling even. He talks about “releasing the serpent”, the “angel’s share” and drops comments like “beer is whisky that has yet to reach its potential”. Tasting whisky is always going to be an enjoyable experience, but when you are being led by somebody who is knowledgeable, and passionate about the drink, it is next level awesome. Tastings at Bascule consist of six bottles, three of which are paired with sweet and savoury appetizers. You are taken through them with care, shown exactly how best to taste them – a drop of water is all you need to bring out the flavours – and each spirit carries a strong history, and more than a few anecdotes to boot. The whiskies undoubtedly provide sensory pleasures, but the stories that come with them bring the real entertainment. I’ve always enjoyed tastings because of the stories and it is certainly no different at Bascule as Craig took us through everything from how prohibition came close to wiping Irish whiskey off the map, to how Laphroaig was often prescribed as a medicine. It’s interesting stuff and adds a very unique element to the evening. Woodford Reserve: A triple-distilled bourbon with a sweet bite. A drop of water certainly softened it, but despite being tasted first, it stayed my favourite of what we tasted. Kavalan: A Taiwanese (!) whisky with hints of marzipan. A unique whisky and certainly one worth re-visiting. Redbreast 12-year-old: A bit too sweet for my palate, but it was a winner with the rest of the group. Glenfarclas: We paired this with dark chocolate, but I struggled to pick up on the flavours. Didn’t leave much of an impression. Highland Park: One of Craig’s favourites, this was paired with salmon, which surprisingly proved to be a major hit. Laphroiag: I mentioned earlier that this was once used as medicine and after tasting it, I am not surprised – it tasted like medicine. Very peaty, I likened it to drinking the earth, and won’t be rushing back for more. It did seem to win over a couple in the group, however, and depending on your tastes, it might do the same for you.